In ungreased glass pie plate, mix cornmeal and taco seasoning mix. Separate dough into 8 triangles; press one side of each triangle into cornmeal mixture. 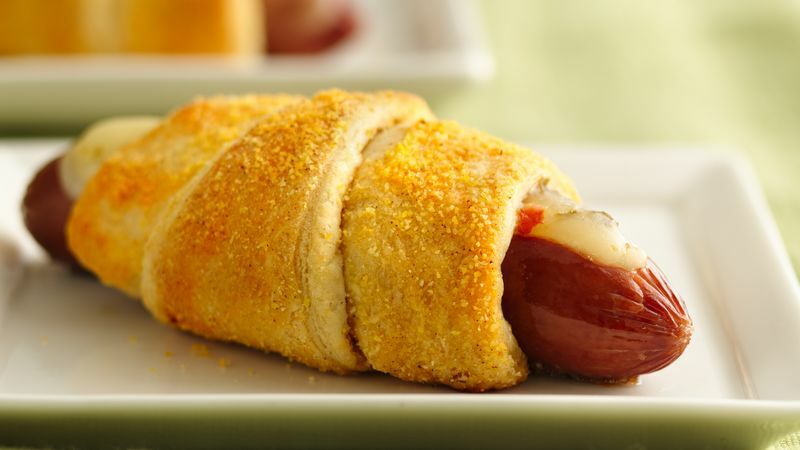 Wrap dough triangles around each hot dog, cornmeal side down. Place on ungreased cookie sheet, cheese side up.